Haru, a brash young exorcist, is determined to keep Anne from becoming a demon’s bride…by marrying her himself! While Anne has come to like and even respect Haru, she’s still not thrilled about being engaged to a 12-year-old kid. As Anne and Haru grow closer, a cult dedicated to the demon lord Mephisto sets in motion a plan to tear the two apart. 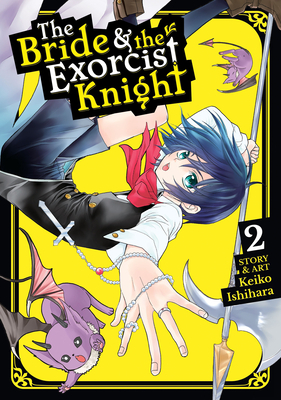 Keiko Ishihara is a Japanese manga artist best known for her series, The Bride & The Exorcist Knight.